● Durable compliant metal head designed to meet demanding needs. ● Corrosion resistant metal pressure gauge easy-to-read color coded gauge provides accurate measurement. ● Metal pull pin with safety seal to prevent accidental discharges. ● Secure code compliant mount bracket and strap are included for secure placement of extinguisher. ● Code compliant instructions, chemical resistant & water proof label with 4-step instructions won’t deteriorate. 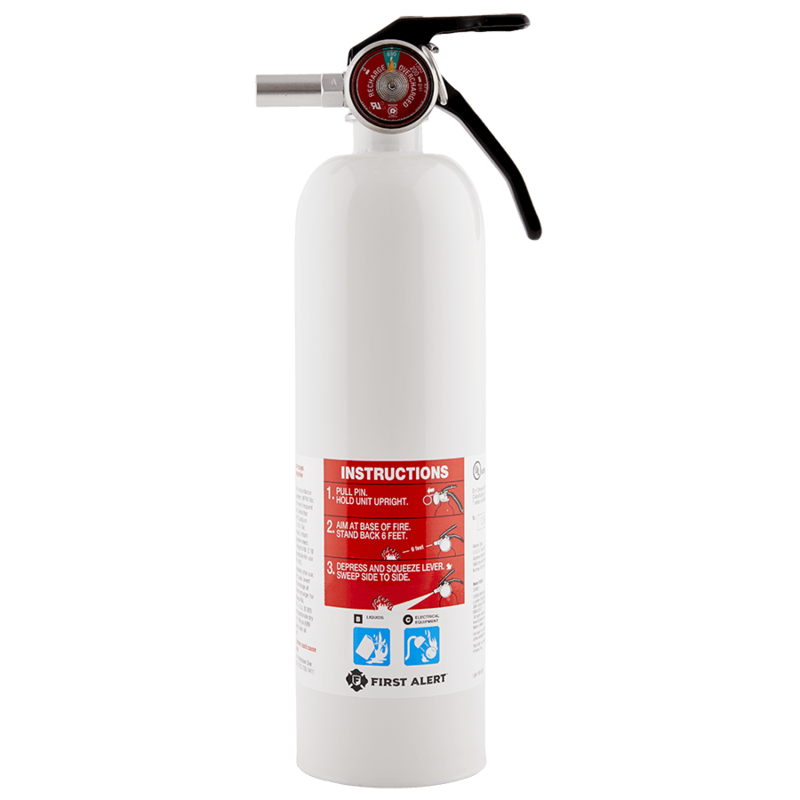 The First 2-A:10-B:C Rechargeable Compliance Fire Extinguisher is ideal for meeting minimum fire extinguisher codes. 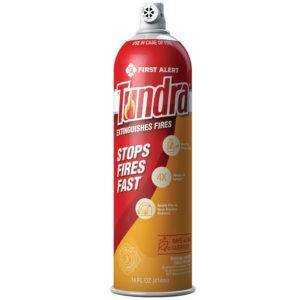 This compact extinguisher can fight wood; fabric; paper; flammable liquid and electrical fires. If used; unit is rechargeable by certified professionals. Includes code compliant wall mounting hook to keep unit secure. 12-year limited warranty. Meets UL standards.